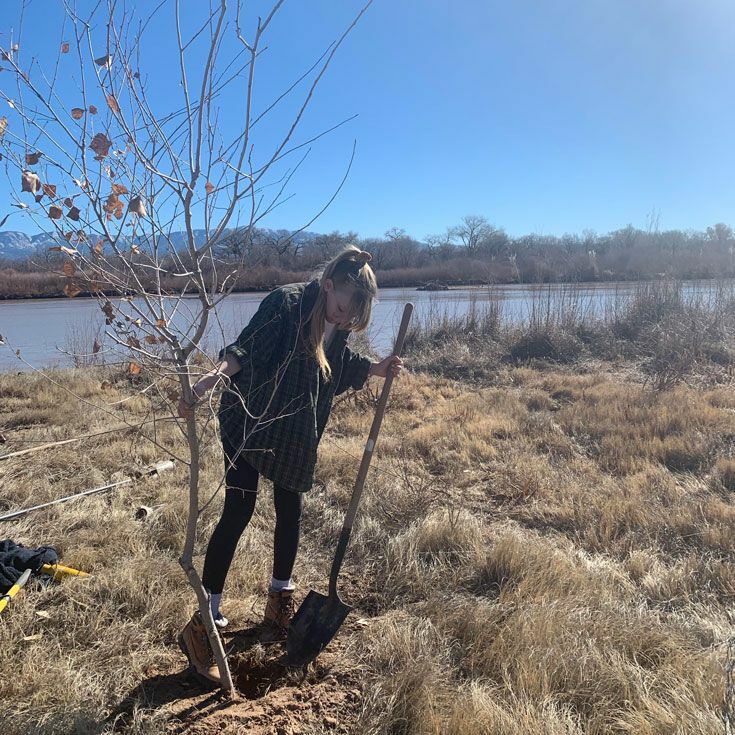 Albuquerque’s bosque grew by 70 cottonwoods last Saturday thanks to the efforts of the Earth Guardians Crew and Bosque’s CRASH (Conserving Resources and Stopping Hunger) Service Learning group. 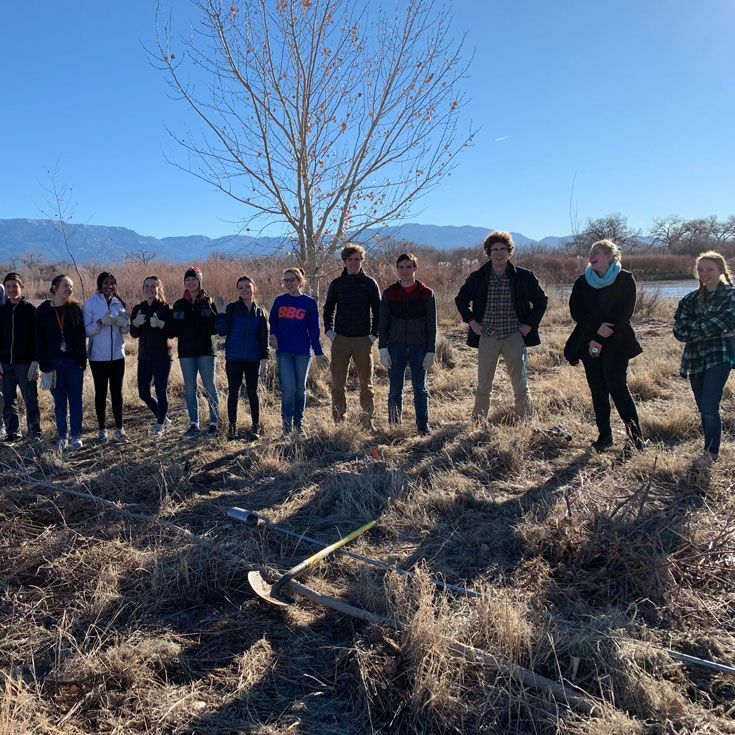 About 20 students participated in the tree-planting event which was the first organized activity of the Earth Guardians Crew since being founded last year by Bosque School alum Marisa Granados, Class of 2018. 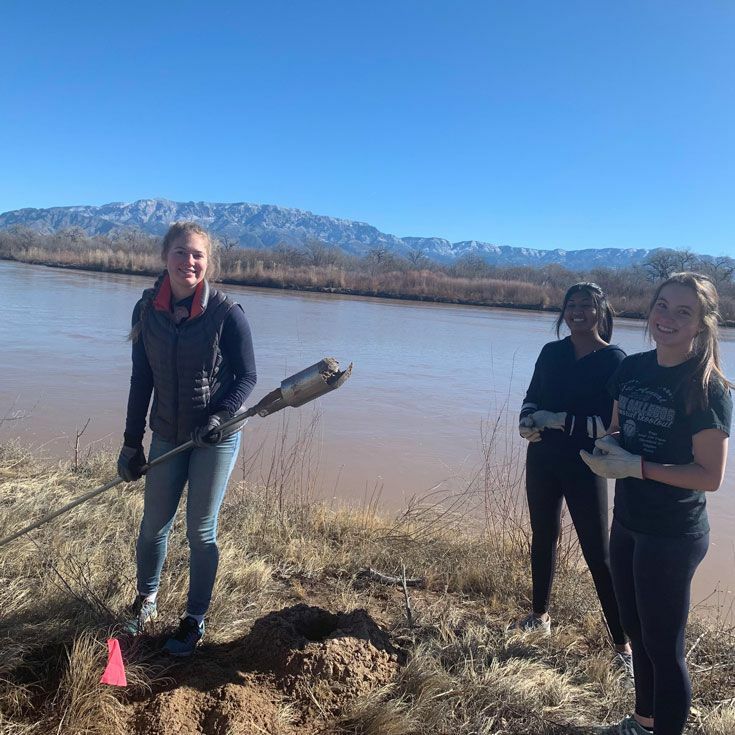 Students from schools around the city participate in Earth Guardians, including nearly a dozen Bosque students. 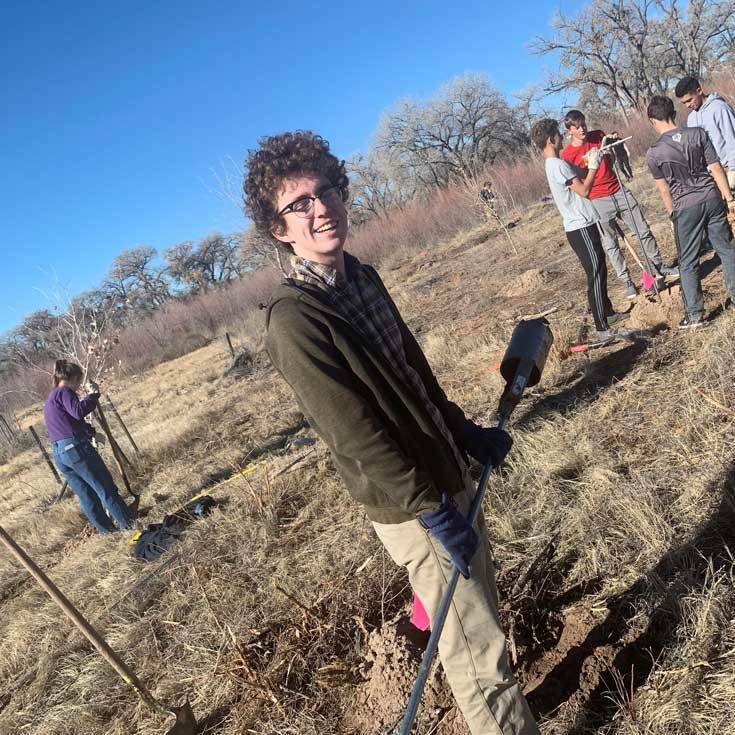 Albuquerque Open Space provided the trees and planting equipment while students provided their time and a little elbow grease. To find out more about Earth Guardians, visit their website. Well done, Earth Guardians Crew and CRASH!